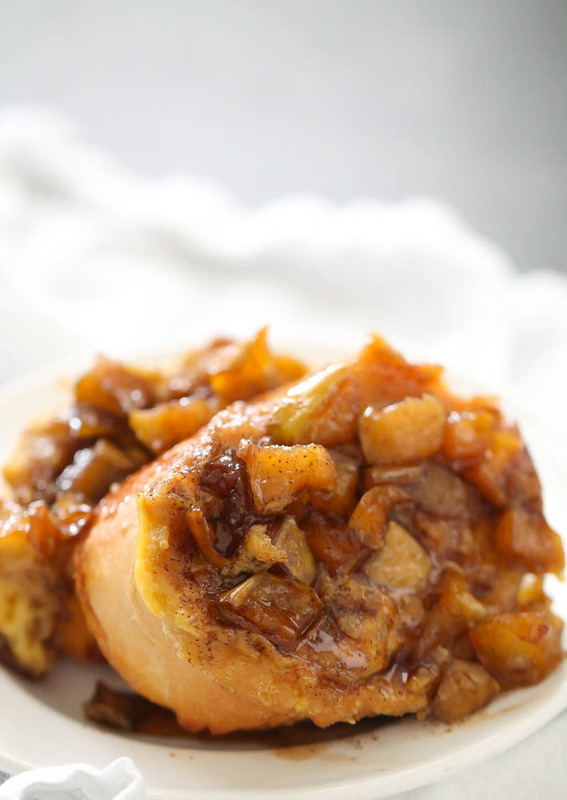 This Overnight Baked Apple French Toast Casserole uses fresh apples tossed in a homemade caramel sauce then topped with soft and chewy French bread. 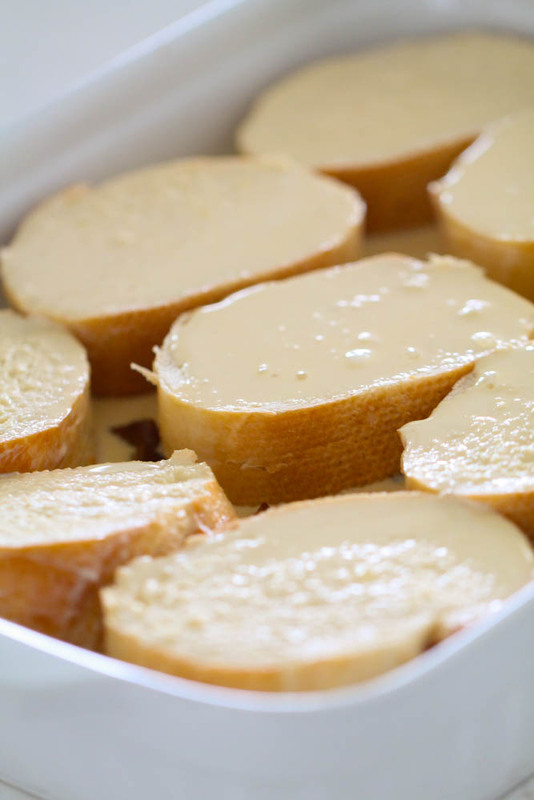 This easy French toast bake is perfect for feeding holiday guests and is so easy to make! We didn’t have hot breakfast very often growing up. We all loved a bowl of good ol’ cold cereal at our house. I have come to love having a hot breakfast in the morning, especially in the fall and winter months. It starts cooling down in September in Utah and all the beautiful fall leaves start changing. It is a fall wonderland! 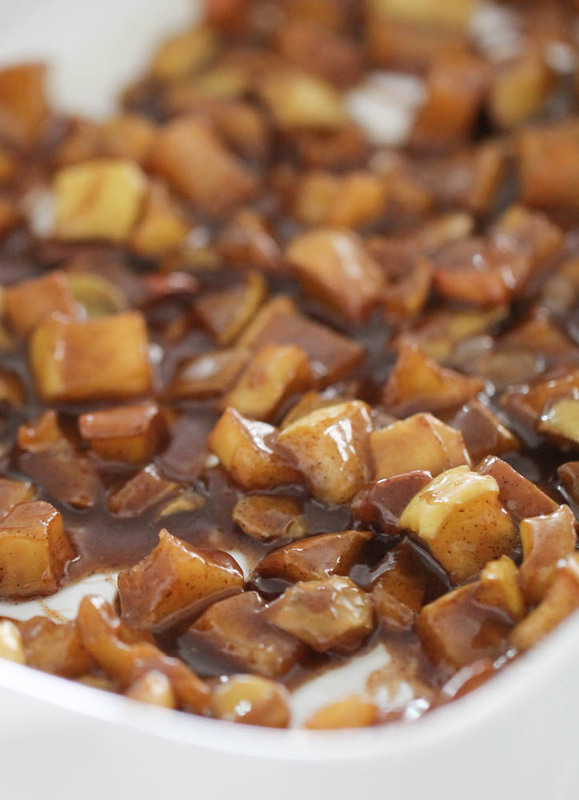 This Overnight Apple French Toast Casserole is the perfect fall, winter or weekend breakfast. You can make it the night before then toss it in the oven in the morning and have the most amazing breakfast. This French toast casserole has a caramel apple topping, so you don’t even have to worry about using syrup. We like to top it with a dollop of whipped cream, but however you serve it it is bound to be a hit. If you are making this Overnight Apple French Toast Casserole for dinner or another event, be sure to give yourself adequate time. This French toast is best after it has had around 8 hours to soak up the egg mixture, so leaving it in the fridge overnight is ideal. I have tried to make it and cook it directly after assembling it and it didn’t turn out as well because all of the egg mixture hadn’t been absorbed into the bread. 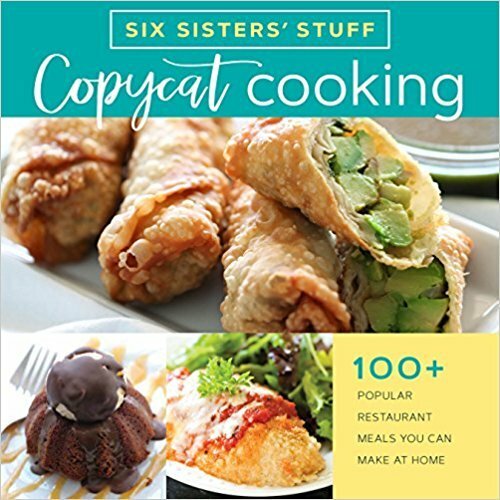 In a large skillet over medium-high heat, melt the butter and add in diced apples. You can peel your apples if you prefer, but it tastes great either way. 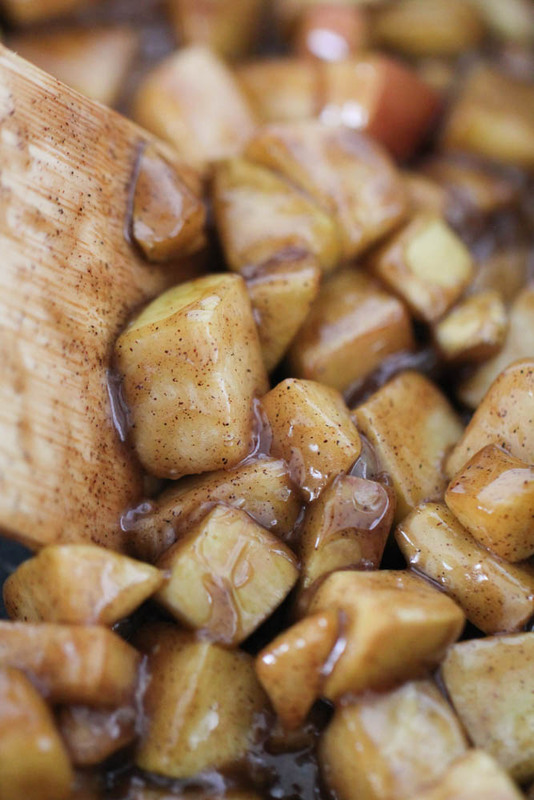 Add brown sugar, water and cinnamon and cook and stir for 10 minutes or until apples are tender. 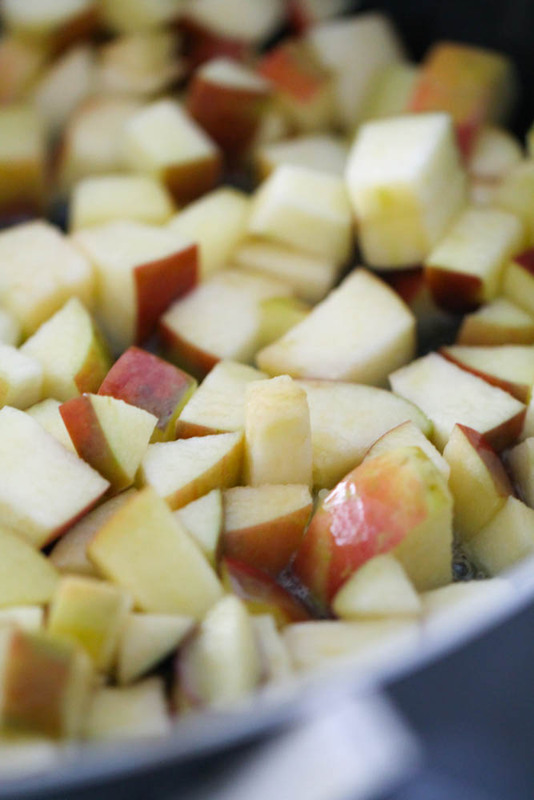 Spoon apple mixture into a 9×13-inch baking dish sprayed with nonstick cooking spray. Place bread slices over apple mixture in the baking dish. In a mixing bowl, whisk together eggs, heavy whipping cream and vanilla until well combined. Pour egg mixture over the bread slices. Cover the dish with plastic wrap and refrigerate overnight (for about 8 hours). 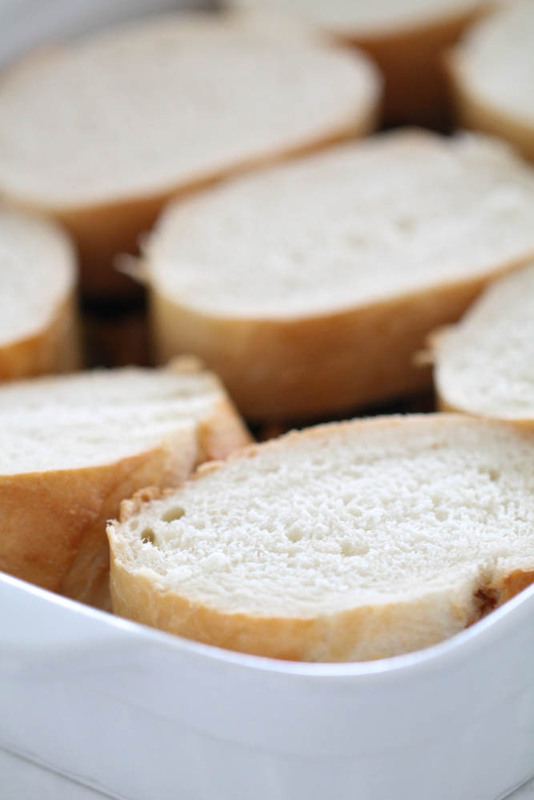 In the morning, preheat oven to 375 degrees F. Bake, uncovered, for 35 minutes or until bread is golden brown. Let sit for 5 minutes before serving.Serve using a spatula, flipping toast over so the apple mixture is on top. French toast topped with a caramel apple mixture. Melt butter in a large skillet over medium-high heat and add apples. Cook, stirring constantly, for 5 minutes. Spoon apple mixture into a 9x13-inch baking dish sprayed with nonstick cooking spray. Place bread slices over apples. In a mixing bowl, whisk together eggs, heavy whipping cream and vanilla until well combined. In the morning, preheat oven to 375 degrees F.
Bake, uncovered, for 35 minutes or until bread is golden brown. Serve using a spatula, flipping toast over so the apple mixture is on top.